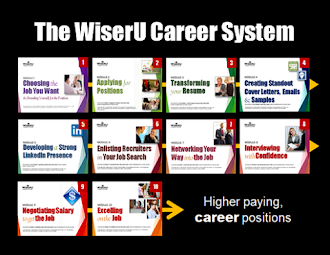 you improve your job prospects. Many job seekers have given up finding a job and have decided instead to start their own business. They know how to do whatever it is they do, but they often don’t know how to market their services effectively online. I give these budding entrepreneurs the following advice (which I gained from my often exasperating attempts to establish WiserUTips.com). 1) Establish or pump up your LinkedIn profile. Add a head shot photo onto your LinkedIn profile. Make sure your LinkedIn profile portrays you as an expert, explains what you offer and how your services can benefit people. Link your profile to your web site and/or blog. Include your email address … this tells people you are open to connect. Set your contact settings to show you are open to providing expertise requests. 2) Sign up for free LinkedIn groups that involve your target audience. You can sign up for up to 50. 4) Establish a Twitter account. Signing up is easy. Visit Twitter and then choose a Twitter name that is either close to your name or your company’s name. Add your head shot or company logo. My Twitter address is https://twitter.com/@WiserUTips. 5) Establish a blog on Blogger. Why Blogger? It's free and you can sell ads on it later when you learn how. It's not hard to get started, but it takes time to learn and use. Blogger offers a variety of templates, as well as applications you can add to make your blog more functional. Also search Google for free third-party applications for things like a subscription box (so people can receive your blog by email), a comment section, a Twitter feed, and a stat counter. I use www.statcounter.com. 6) Sign up for Google Groups. Visit Google Groups to establish an account and then connect it to your blog so people can subscribe to your blog via email automatically and so you can see who is subscribing. 7) Develop a blog posting schedule (then stick to it). Also stockpile a list of topics. You do not have to blog everyday, but blog at least weekly. 8) Write short blog messages and post them. Keep your messages to the point and brief (250-1,500 words). Include your name, title, company name, and contact information. 9) Write a short teaser about each blog post (140 characters or less) to post on your LinkedIn status bar and on Twitter. Example: Are you seeking the jobs of the future…or the past? Learn the hot jobs in your field. #career Tips for finding a job in a different city. Add a hashtag (#), or number symbol, plus the key word about what you are writing about on tweets, such as #career so people who are searching for that topic on Twitter can find your message. 10) Post the teaser message in your LinkedIn status bar and on Twitter. Simply click the Twitter “T” under your LinkedIn status bar to have the same message automatically posted on Twitter. 11) Write/post a teaser message for LinkedIn group discussions. The headline can be the same as your status bar/Twitter message (minus the hashtag section), but also include a sentence or two to encourage people to visit your blog and return to the group discussion to comment. BODY COPY BOX: Several people have asked me how to land a job in a different city. I gave them all the same advice: Establish yourself as a local, even if you don’t yet live in your target city. Why? Companies prefer to hire locally to avoid transportation and relocation expenses and the risks involved in hiring someone who may decide not to move after all. To compete successfully against locals for out-of-town jobs, follow the 17 tips in the latest WiserUTips post -- Tips for finding a job in a different city. Share your ideas and comments about finding a job in a different city on the WiserUTips blog or on this LinkedIn discussion board. To add your submission to a LinkedIn group discussion, open a LinkedIn groups' group page, and copy/paste your headline and body copy into the two sections of the group discussion template. Click submit. Your picture, name and title will appear each time automatically. If group members respond to your post, you will receive an email message from the LinkedIn group. Click the link on the email to respond to the comment. Write your response in such a way as to encourage additional comments. Example: Kim, You mentioned you’ve encountered resistance applying for out-of-town jobs. 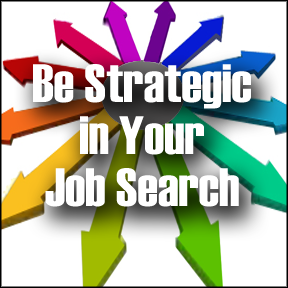 Have you tried using a local address on your resume? Has anyone else had success trying that? Please share your experience with Kim. 13) Continually communicate. Respond to group and blog comments, start discussions, ask questions, join additional LinkedIn groups, and rerun popular blog posts to continue generating interest and new business. LinkedIn group members will begin to send you invitations to connect and ask you for advice. Accept their invitations and build a relationship with them. 14) Send helpful tweets. Also retweet particularly interesting tweets you receive. This will help build your relationship with current followers and encourage others to follow you. 15) Build your Twitter following exponentially. Visit categories of Twitter users related to your topic. View the people within each group and follow them. At least half will follow you back. 16) Start your own LinkedIn group on your business topic and invite your LinkedIn connections to join. This can help give you an air of credibility. Learn how at LinkedIn groups. Learn how to export your LinkedIn contact list so you can invite multiple people to join at one time at Inviting people to join a group. 17) Learn something new. Sign up for helpful blogs and e-newsletters and soak up the knowledge they offer. Commit to continually improving your online presence through new tools and techniques. 18) Be patient. It takes time to develop a following and even more time to figure out online tools. You will mess up … technology is tricky! Push past frustrations and embarrassments and you will be on your way to successfully promoting your new business. You should never pay for blogging.